Things in the United States would make a lot more sense if the laws of one state would pertain to the others, but as gun owners we know that simply isn't the case. What is legal in one state could see you doing time in another and we here at ConcealedCarry.com don't want to see any of our members or readers get into trouble for these reasons so we have decided to put together an in-depth piece about concealed carry laws in the United States in order to assist all of you, no matter where you live in the country. 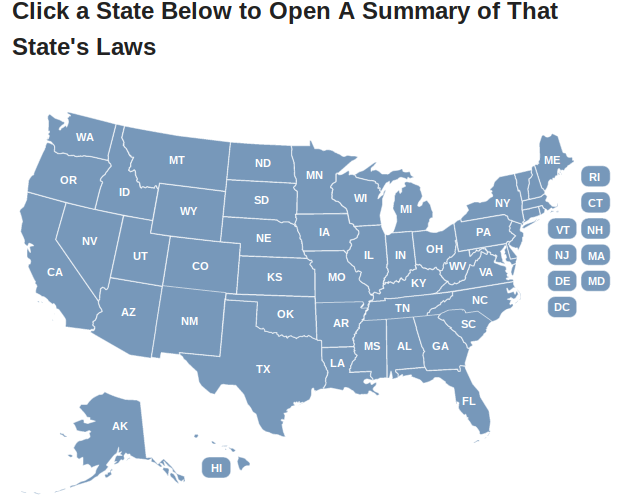 In an attempt to make finding your state's laws as easy as possible we have conglomerated all of our information into a handy map tool located at the link highlighted in the paragraph above so you can simply choose the state that you live in, are visiting, or are even just traveling through in order to see what necessary changes to your load out need to occur to comply with the laws of that state. Below is an example of the map that you will find on the concealed carry law page. WHAT INFO CAN I FIND FOR MY STATE? Once you have found the state you are looking for you will simply click on said state and be brought to a new screen which will explain to you a number of the laws that specific state has regarding concealed or open carry. From open carry status to training requirements to places within the state that are no-carry zones. We have even placed each state's concealed carry reciprocity map at the bottom of their personalized page so you can check to see if your permit is valid within that state. 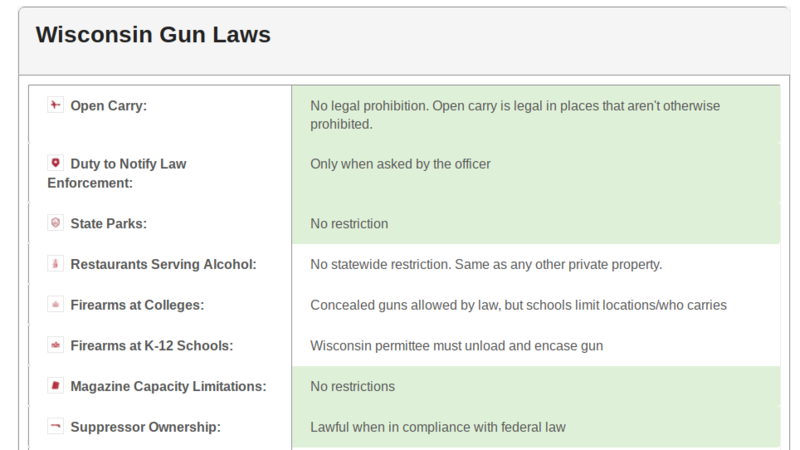 To show you what I mean here's a screenshot of my home state of Wisconsin's state law page. Now this is just a small portion of the information on each state's page, because we didn't want to cover up so much of this article with just the one example. But if you are curious to see more of the example I have provided the link to Wisconsin's specific page is just above the photo. You may not have heard, but we recently re-configured our entire concealed carry smartphone app to include just about anything you could ever need to know about concealed carry, reciprocity, and other useful tools to include drills and practice tracking. The App is free and can be found here. 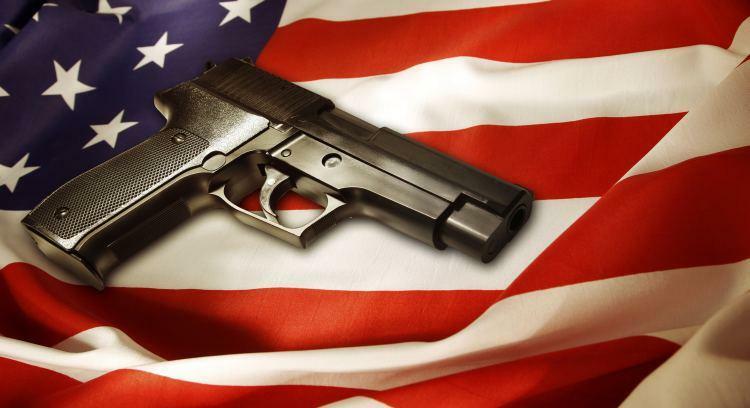 Now as you know, firearms laws in this country are in a constant state of flux with new laws being added and rescinded all the time hence the reason we offer new Traveler's Guides to the Firearms Laws of the Fifty States every single year, as well as keep our brand new Concealed Carry Smartphone App up to date. ConcealedCarry.com is also committed to, on top of offering these books, maintaining this state-by-state listing and smartphone app as new laws hit the books. That being said, sometimes there are small changes that get missed by our small team here so if you happen to read through your state's page and see an error make sure to contact us and let us know in order for us to make sure our audience is in the know. Do you use any of these tools? How have they helped? Let us know in the comments below.